Arrangement: Arranged chronologically in five series. Series one: Correspondence and documents related to the Henry George Birthplace Rehabilitation Project, 1957-1960; Series two: Correspondence, drawings, and other documents related to the Nomination and Entry of the Henry George Birthplace in the National Registry of Historic Buildings, 1980-1983; Series three: Correspondence, drawings, and other documents related to the Henry George Birthplace Restoration Project, 1987-1989; Series four: Photographs, documents, and printed ephemera related to the Henry George Birthplace; and, Series five: Furniture and oversize material on loan and donated to the Henry George Birthplace. Sometime between 1801 and 1808 Edward Harlin purchased the site where the Henry George Birthplace currently stands and built a one story frame house. The original structure consisted of a front room, two back rooms, a second floor attic, a kitchen, and a cellar. When Harlin died in 1820, the property transferred to George F. Smith, who later rented the house to Henry George’s family. Henry George was born in the house on September 2, 1839. 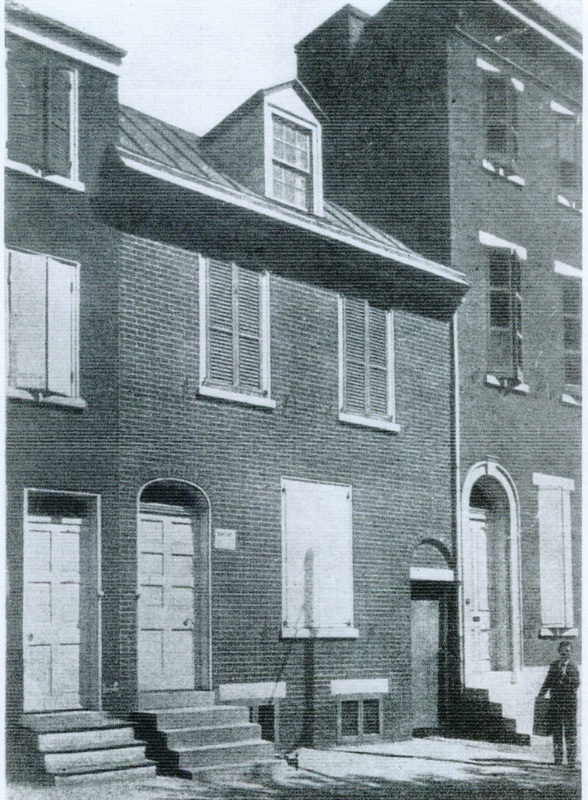 At some point during the 1840s, George’s family moved to a larger dwelling at 814 S. Third Street. According to some sources, George resided at the Third Street home until he moved to California in 1858. Others sources, however, indicate that George’s family moved multiple times during the 1850s. The Third Street house, like all of George’s other residences, no longer stands. 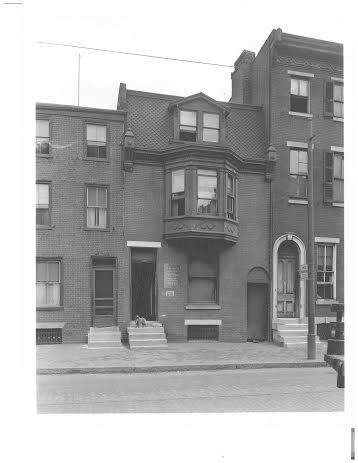 The Henry George Birthplace at 413 S. 10th Street is the only surviving residence connected to Henry George. 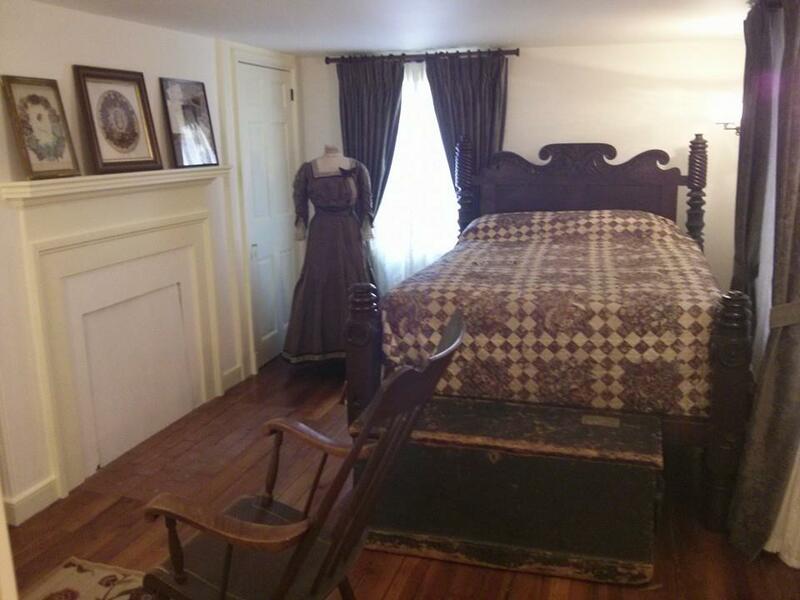 Henry George’s Birthplace exchanged hands several times after the George’s family moved out. Between 1898 and 1926 the house was owned by Thomas S. K. Morton who raised the building to three stories. The Henry George Foundation of America owned the house from 1926 until 1957, when it sold the dwelling to the current owner, the Henry George School of Social Science (HGSS). The HGSS commissioned minor renovations to the building in 1957 and the Philadelphia Branch of the School moved in shortly thereafter. In 1976 the Birthplace was first nominated for the National Registry of Historic Places. 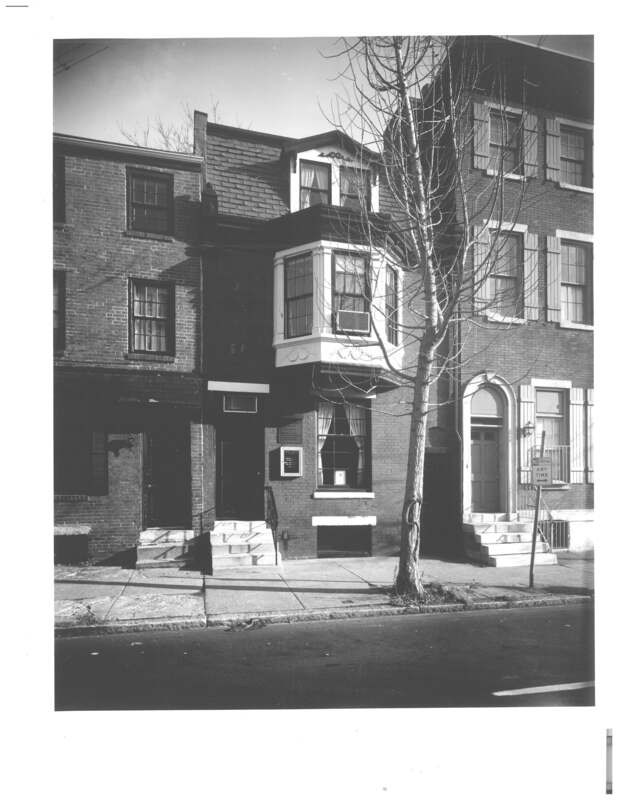 According to collection documents, “Inspired by the approach of the 100th anniversary of Progress & Poverty in 1979,” the HGSS established the Henry George Birthplace Building and Restoration Fund. Philadelphia Architects Charles Peterson and Jim Collins were hired to prepare drawings for the Historical American Buildings Survey. 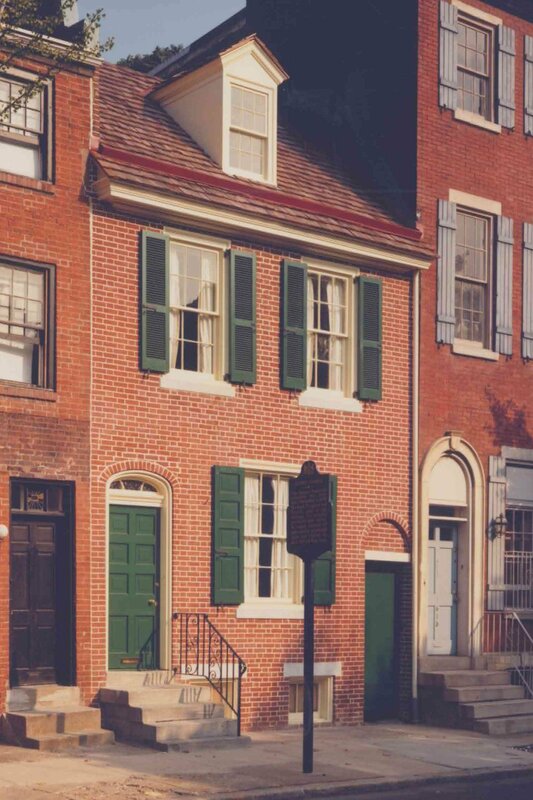 In 1983, the Henry George Birthplace was officially entered in the National Register of Historic Places and a new historical marker was approved by the City of Philadelphia. Once again inspired by an upcoming anniversary—the Sesquicentennial of George’s birth—the HGSS embarked upon another renovation project in 1987. School officials re-hired Charles Peterson and James Collins to restore the Birthplace to its original 1839 appearance. From July 29 to August 6, 1989, the HGSS held the Henry George Sesquicentennial Anniversary International Conference, celebrating not only the 150 anniversary of George’s birth but also the completed restoration. The exact date is disputed. Some sources cite 1844 as the year the family moved to Third Street, others give 1849. See “Henry George’s Home,” 1991. 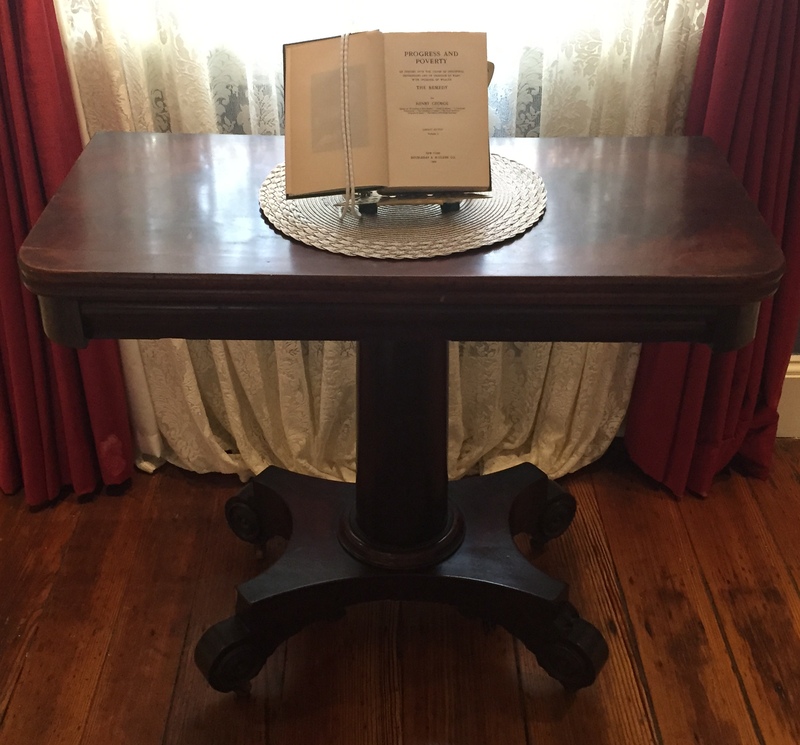 See The National Register of Historic Places Inventory—Nomination Form for the Henry George Birthplace, 1982.